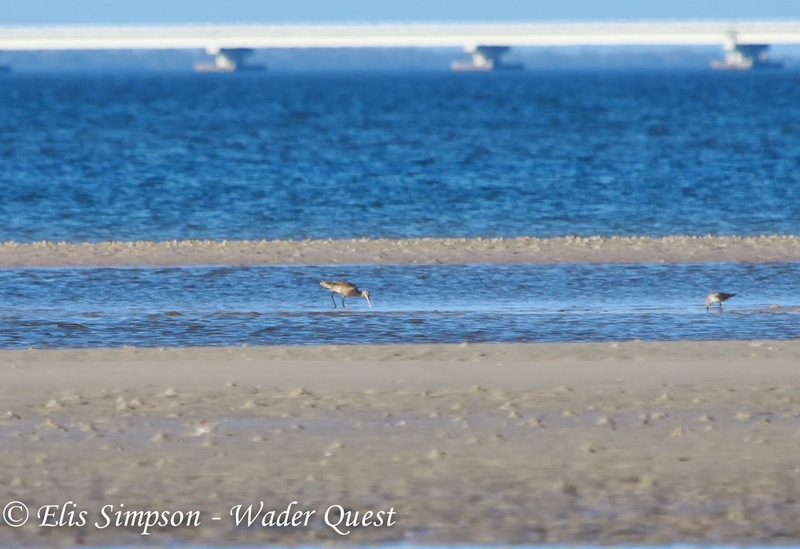 Wader Quest: Meet the Godwits. 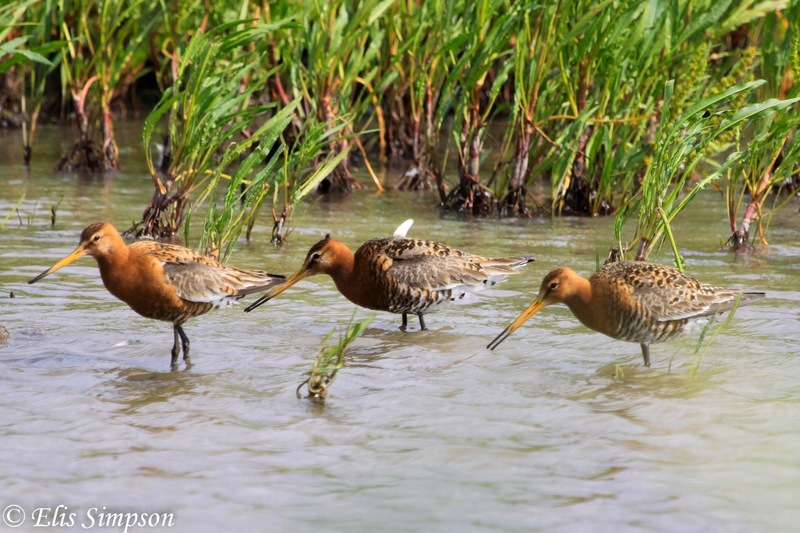 There are four species of godwit, Limosa, in the world. They are all interesting and elegant birds and at least one example can be seen on all six of the world's inhabited continents at some time in their varied life cycles. 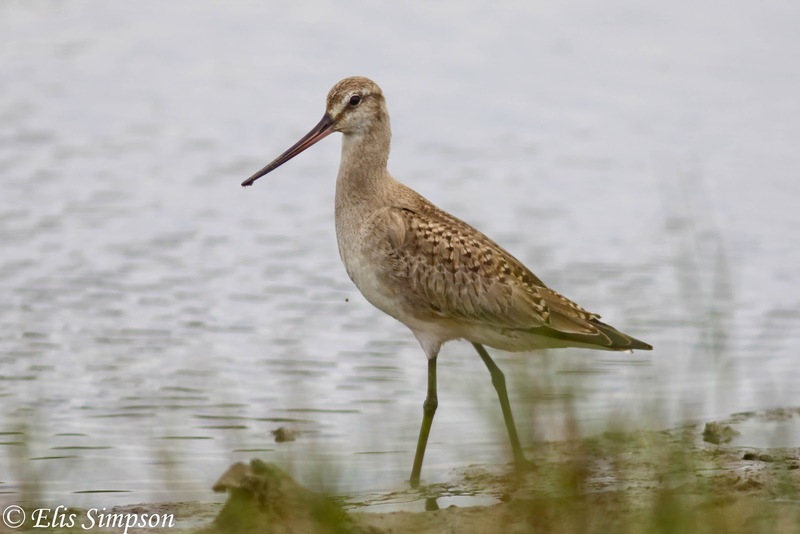 Some are famously record-breaking migrants like the Bar-tailed Godwit and others lead a much more restricted lifestyle, like the Marbled Godwit. 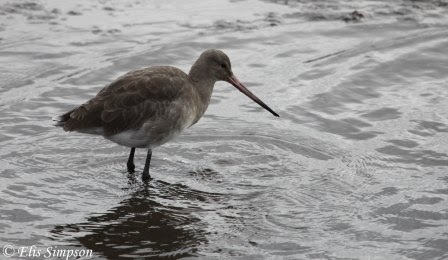 Black-tailed Godwit was the 4th species we saw on our global quest for waders and it is the only one of the four in the genus that is not considered to be of Least Concern by BirdLife International, this being Near Threatened. The reason for this categorisation is that despite having a large global population it is in decline and in some areas drastically so. For example, in the Netherlands the population has declined from 120,000 - 135,000 in 1969 to 46,000 - 62,000 in 2009! Other populations are more stable and in Iceland, although a very small percentage of the overall population, the species is actually increasing slightly. The overall global population is 634,000 - 805,000 and this is thought to have declined some 14% - 33% in the last 15 years. This trend is mainly due to breeding ground habitat loss, drainage of wetlands, agricultural intensification, change of land use, to industrial for example and even the abandonment of land. Black-tailed Godwits Limosa Limosa; Titchwell, Norfolk, England. June 2013. There are three recognised subspecies. The nominate L. l. limosa breeds from the UK, across western and central Europe to Asia and Asiatic Russia and winters around the Mediterranean, sub-Saharan Africa and east to western India; L. l. islandica breeds mainly on Iceland but also on the Faeroe Islands, Shetland and the Lofoten Islands and winters in Ireland, the UK, western France down through Spain to Portugal; L.l. melanuroides breeds in Mongolia, China, Siberia and the Russian Far East and winters in India, south-east Asia, the Philippines south to Indonesia, New Guinea and Australia. 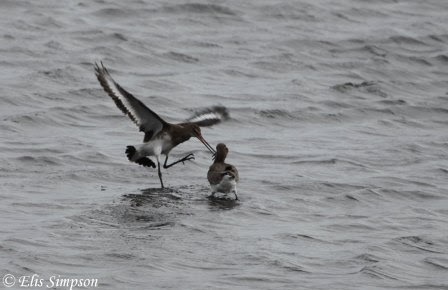 Aggression between two Black-tailed Godwits; Titchwell, Norfolk, England. September 2012. On our quest we saw all three of them. In Australia and Thailand we will have encountered the smallest subspecies, melanuroides, the other two would have been in the UK, islandica in the winter and limosa during the breeding season. Black-tailed Godwit Limosa limosa limosa; Titchwell, Norfolk, England. June 2013. Black-tailed Godwit L. l. islandica: Titchwell Norfolk, England. September 2013. Note: shallower bill base and steeper forehead, c/w photo above. Black-tailed Godwit L. l. melanuroides (centre) with Bar-tailed Godwit Limosa lapponica menzbieri and Great Knot Calidris tenuirostris; Broome, Western Australia, Australia. September 2013. 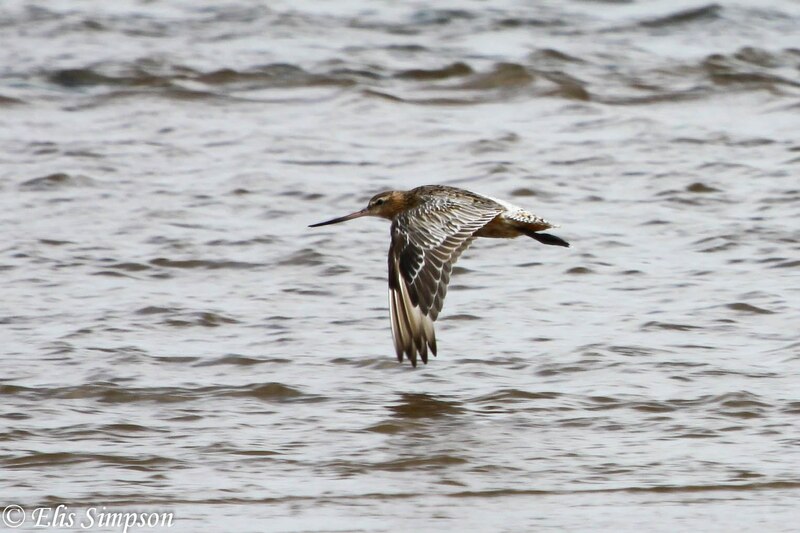 Hudsonian Godwit (91st species seen) is a long distance migrant breeding in Alaska and Canada and passing the Boreal winter predominantly in the eastern half of the southern cone of South America and sparsely on the Pacific coast. There are no subspecies. The total population is declining slightly and is thought to be around 70,000. Threats to this species include their own migration strategy. This involves long flights with stop-overs when necessary. For this to be viable there needs to be a large number of suitable sites at regular points along the migration route. Development of coastal areas and wetlands mean that these are becoming fewer and farther between. Another threat, that we witnessed first hand, is the change in farming methods by rice farmers in the southern USA. New techniques mean less traditional rice fields with standing water and more dry fields that are unsuitable for feeding. Many of this species' breeding territories are where oil exploration is expanding in Alaska increasing the threat from contamination of the environment. Hunting is less of a threat than it used to be as it is now illegal across much of its range, but it may still be a problem in South America where remote areas are difficult to police. These birds are greatly susceptible to hunters as they tend to aggregate in large numbers in small areas, thus a small number of hunters can have a significant impact on the population in a very short space of time. Hudsonian Godwit Limosa haemastica; Parati, Rio de Janeiro, Brazil. October 2011. 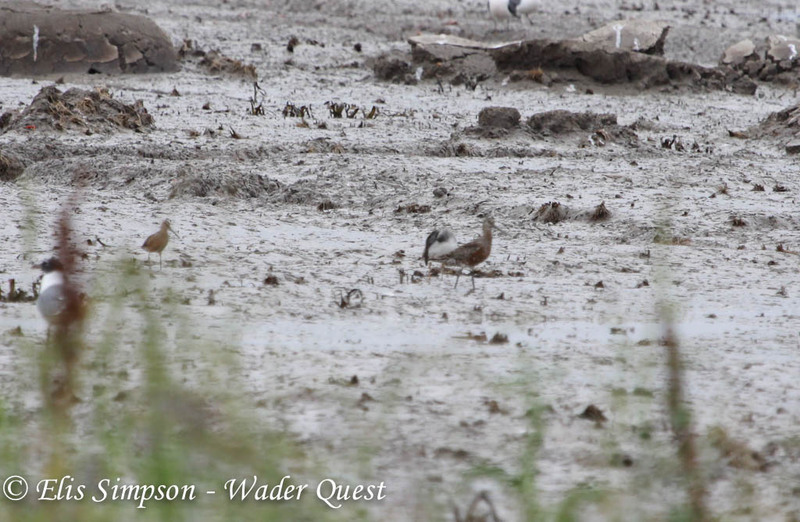 We came very close to not seeing this species on the quest as we didn't see any while in Brazil on their wintering grounds and in the spring in Louisiana we only saw them once, thanks to a lot of local help and then only for a short time before a Peregrine Falcon put them and every other wader in sight to flight, hence the long range record shot. Hudsonian Godwit Limosa haemastica; rice country, Louisiana, USA. April 2013. Bar-tailed Godwit Limosa lapponica lapponica; Titchwell, Norfolk, England. August 2012. We saw all three subspecies; lapponica in the UK, UAE and The Gambia, baueri in New Zealand and Cairns in eastern Australia and menzbieri in Broome, Western Australia. Bar-tailed Godwit Limosa lapponica lapponica; Titchwell, Norfolk, England. September 2012. Bar-tailed Godwit Limosa lapponica lapponica; The Wash, Norfolk, England. March 2013. Note: relatively pale underwing and white lower back with little or no barring. Bar-tailed Godwit Limosa lapponica menzbieri with Great Knot Calidris tenuirostris: Broome, Roebuck Bay, Western Australia, Australia. September 2013. Note: this subspecies is intermediate in plumage between lapponica and baueri, they are not as dark on the underwing as baueri being closer ro lapponica. Note: the amount of white on the lower back falls between lapponica and baueri, it is more extensive and less barred than in baueri but not as clear white and extensive as lapponica. Bar-tailed Godwit Limosa lapponica baueri; Foxton Beach, Manawatu-Wanganui, North Island, New Zealand. Bar-tailed Godwit Limosa lapponica baueri: Foxton Beach, Manawatu-Wanganui, North Island, New Zealand. Note: underwing is darkest on this subspecies. Bar-tailed Godwits Limosa Lapponica baueri; Foxton Beach, Manawatu-Wanganui, North Island, New Zealand. Note: No white on the lower back, white limited to uppertail coverts and heavily barred. Marbled Godwit (66th soecies seen) is a medium to short distance migrant; the nominate race Limosa fedoa fedoa breeds in north central USA and south central Canada plus James Bay and winters south from central California on the Pacific coast and the Carolinas on the Atlantic coast, through the Gulf of Mexico to Panama along continental coasts. A small population of the subspecies Limosa fedoa beringiae breed on the Alaska peninsula. and winters from central California along the Pacific coast of north America north as far as southern Washington State. The total population is in decline and is estimated to be 140,000 - 200,000. The disjunct populations hold very small numbers thought to be about 1,500 in James Bay and 2,000 on the Alaska peninsula. As with so many species the biggest threat comes from the loss of breeding habitat due to wetlands being drained and grasslands being turned over to agriculture. On the wintering grounds human use and abuse of coastal regions causes pollution and disturbance due to building on or near the coast especially where industrial and petroleum based installations are involved. Marbled Godwit Limosa fedoa fedoa; Bolsa Chica Ecological Reserve, Huntington Beach, California, USA. December 2012. Now that is what I call a bill! We did not see any godwits when we were in Washington, so all of the birds we saw are likely to have been the nominate fedoa subspecies. 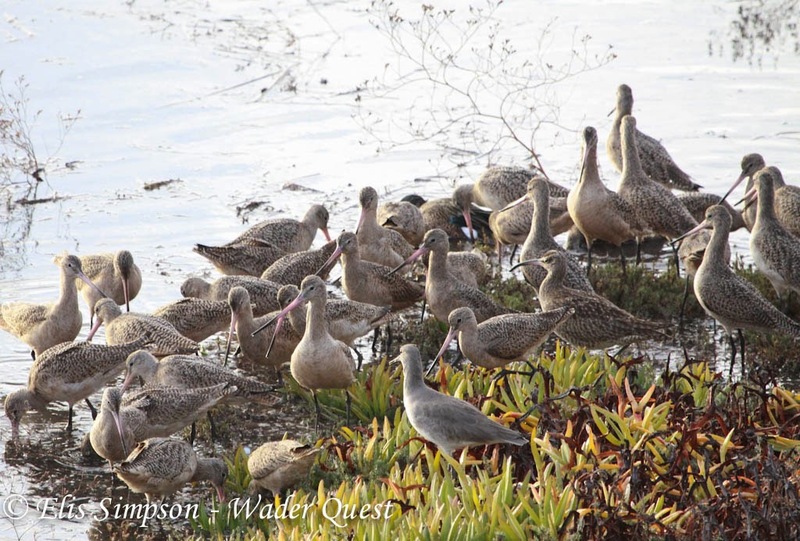 Marbled Godwits Limosa fedoa with Western Willet Tringa inornatus and Hudsonian Whimbrel Numenius hudsonicus; Kendall Frost Marsh, San Diego, California USA. December 2012. BirdLife International (2014) IUCN Red List for birds. Downloaded from http://www.birdlife.org on 26/02/2014. Senner, N.R. 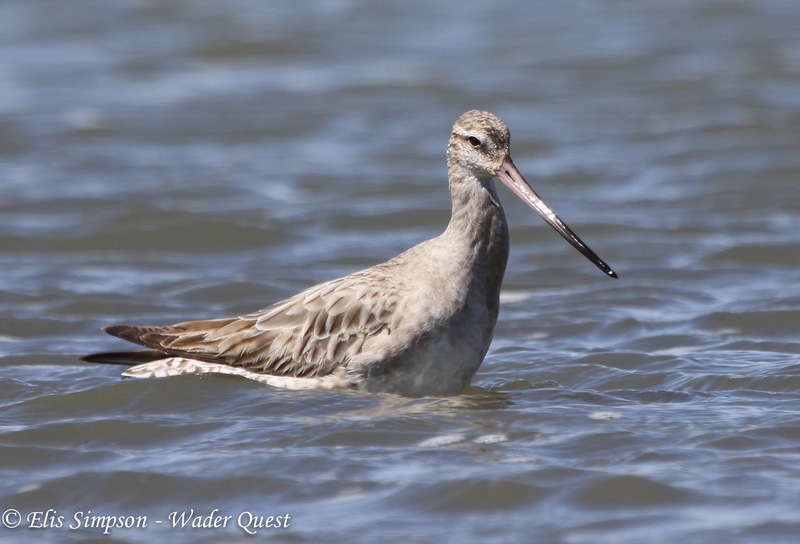 (2010) Conservation Plan for the Hudsonian Godwit. Version 1.1. Manomet Center for Conservation Science, Manomet, Massachusetts. Melcher, C.P., Farmer A. 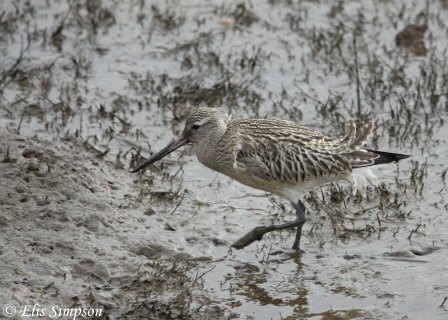 & Fernández, G . (2010) Conservation Plan for the Marbled Godwit. Version 1.2. Manomet Center for Conservation Science, Manomet, Massachusetts.